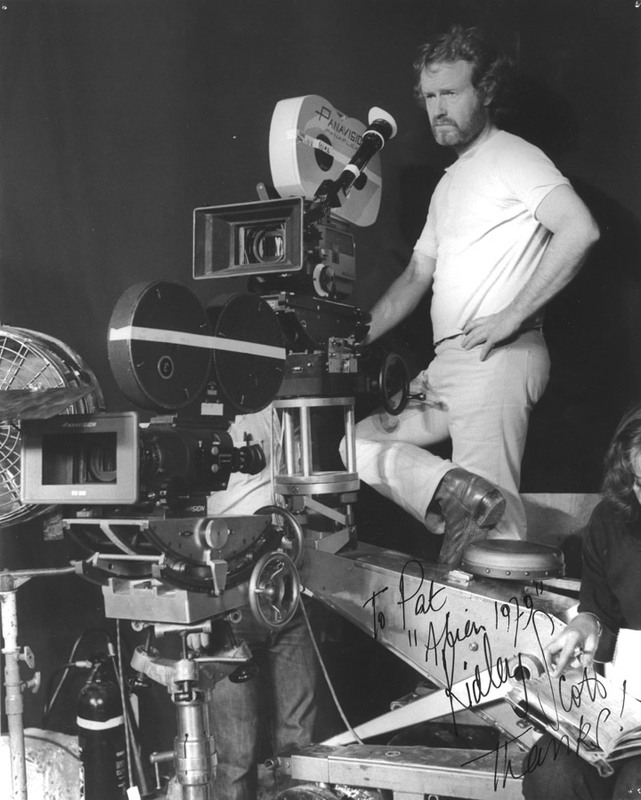 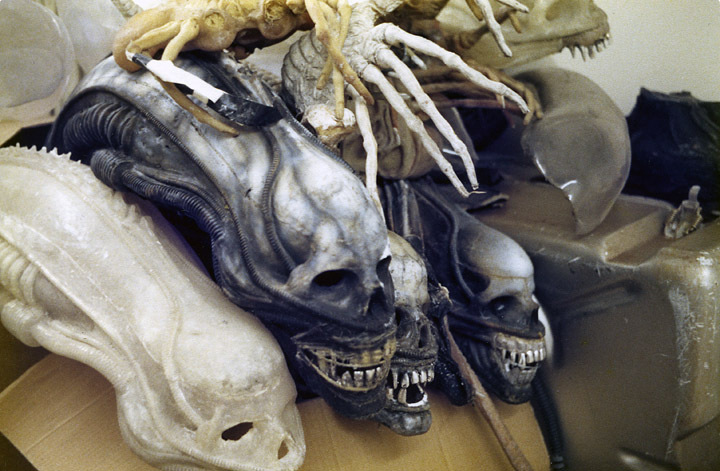 This page is dedicated to some of the photographs Pat Lowry took while he was personal driver to Ridley Scott on the 'Alien' production. 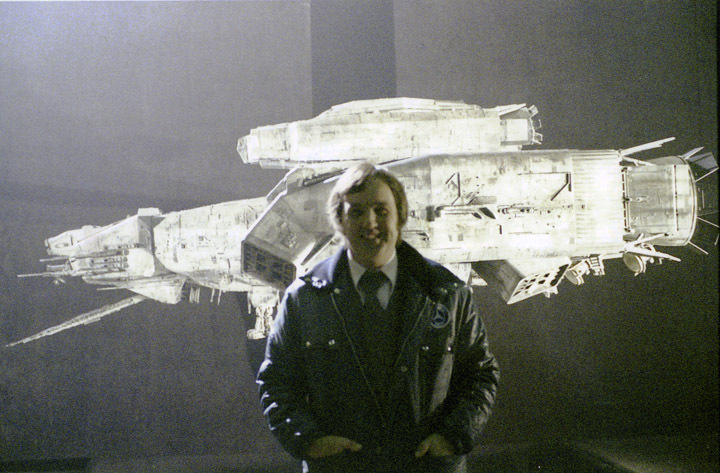 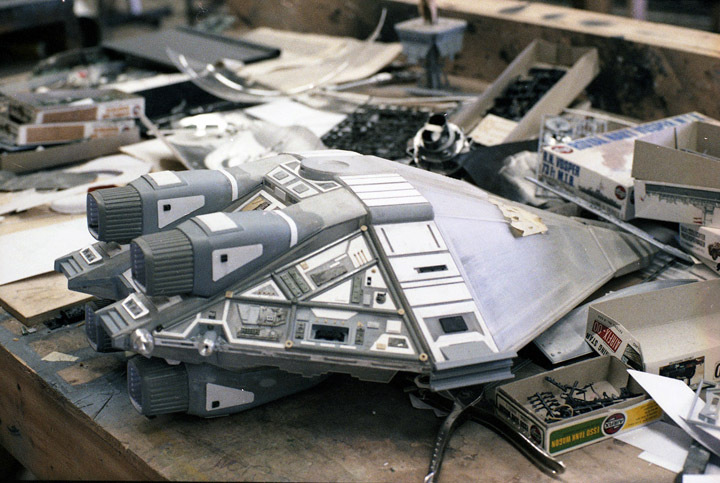 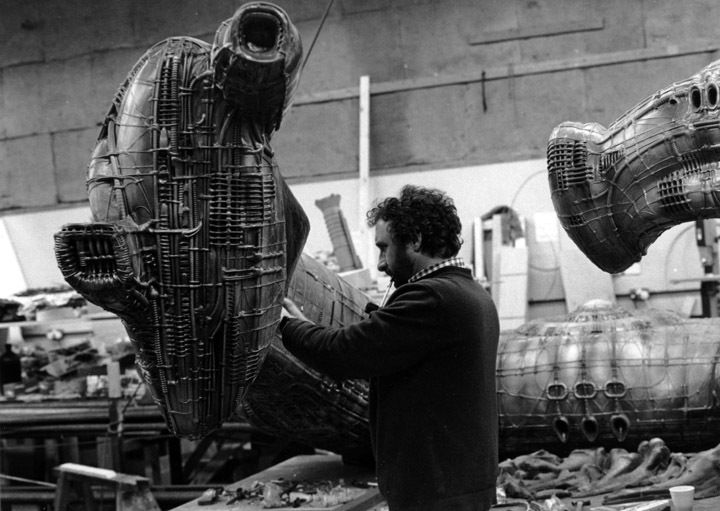 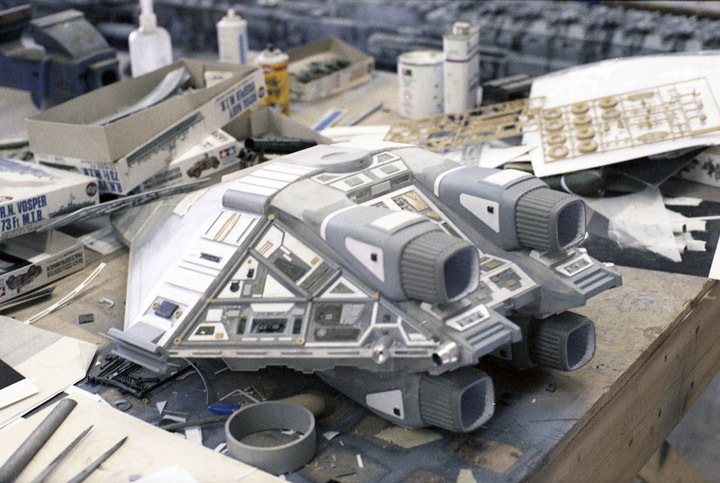 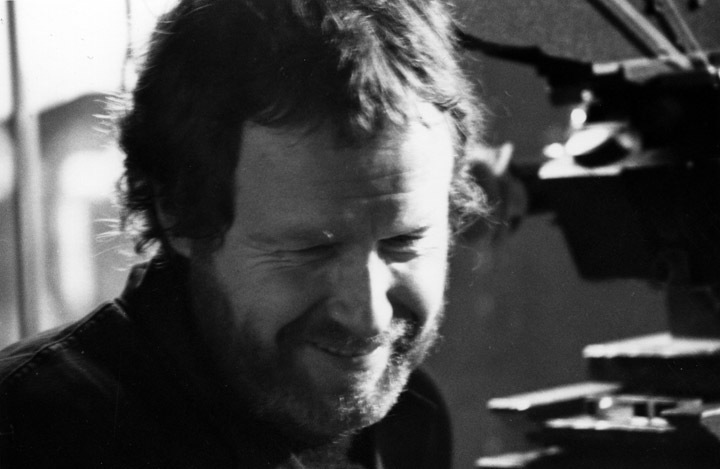 He collected Ridley each morning from his home in Wimbledon and took him to either Shepperton, Elstree and Bray Studios. 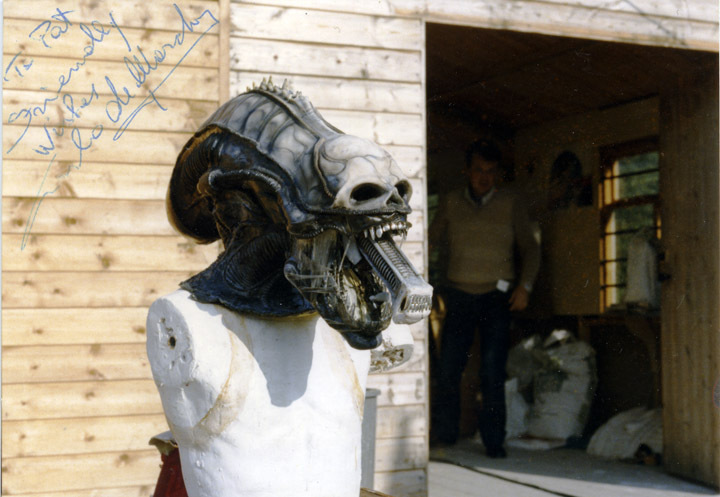 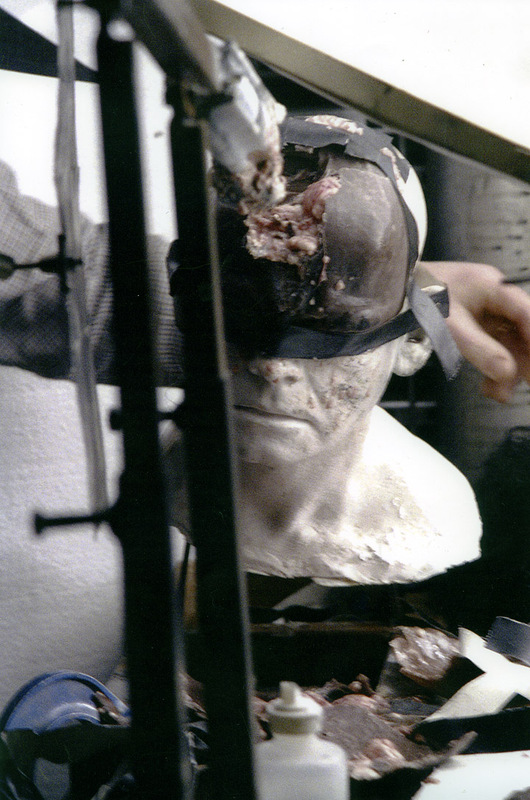 A beautiful shot of the head exposing the inner mouth signed by Carlo de Marchis. 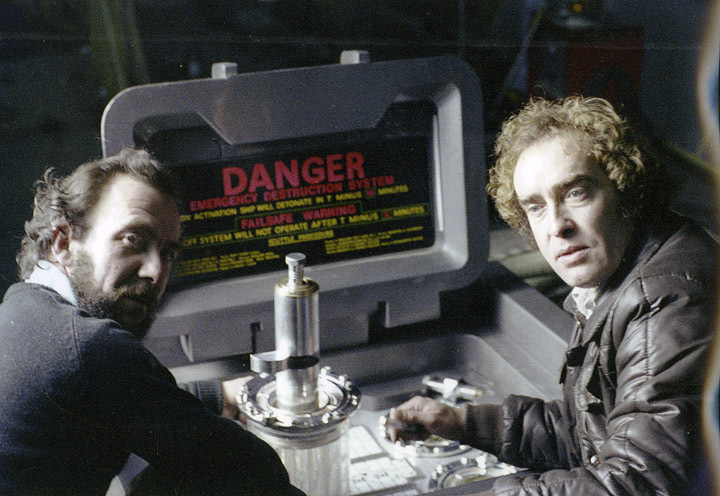 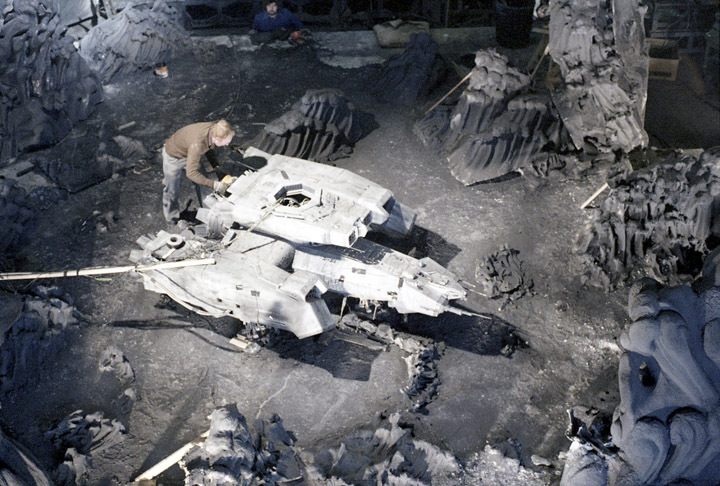 Roger Nichols and Ian Wingrove working on the self destruct module. 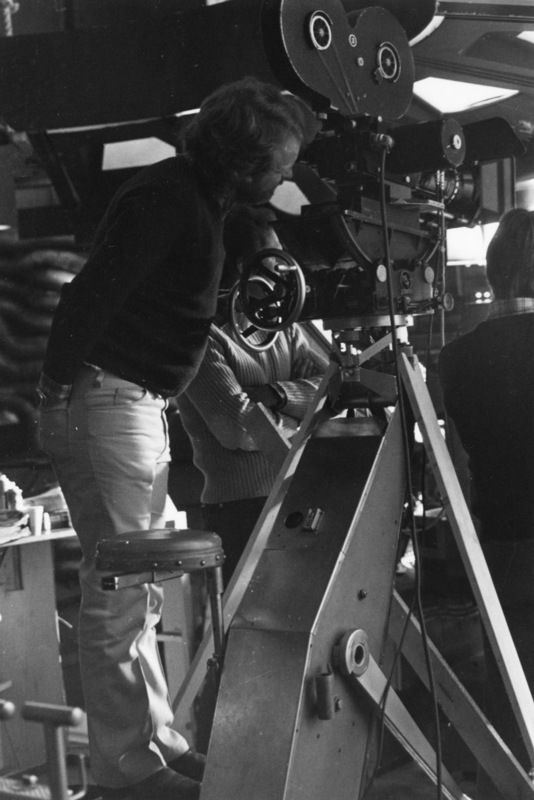 Ridley looks through the S35 Mitchell camera. 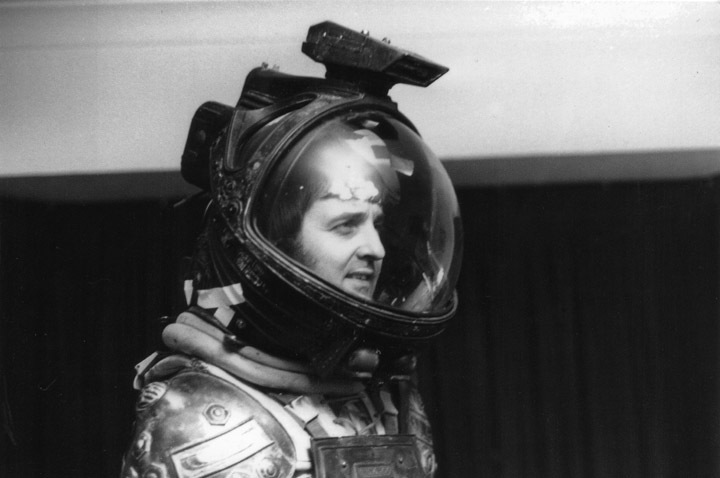 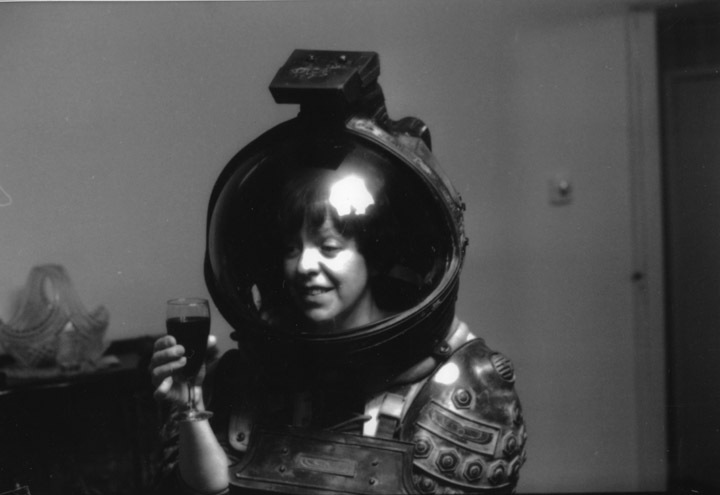 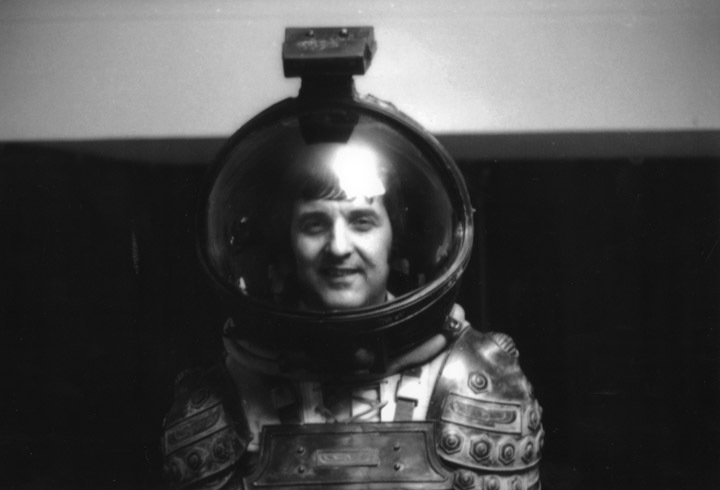 Pat had to deliver the space suit that Lambert wore somewhere for the next morning, his wife Rita was forced to wear the costume at 2.30 in the morning but had problems with the glass of wine!